In the matter of ‘creative preservation’…. We foresee that we will demand and encourage excellence in architecture, planning, and development, not by laying down universal design rules or principles but through advocacy based on our experience of local architecture and of the terrain itself. We intend neither to be abstract and theoretical in our attitudes to specific problems, nor to approve of architects and planners being so; rather, we will encourage response to both the specific requirements of a problem and the character of the environment. 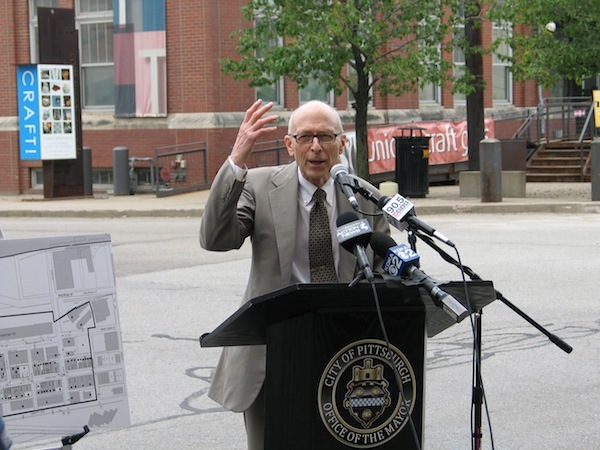 When the Pittsburgh History & Landmarks Foundation was growing and evolving, we saw our role in preservation as more than standing in front of bulldozers. Indeed, our aim was to begin by changing attitudes. In the 1950s and 1960s in Pittsburgh as in many other cities, “urban renewal” meant destroying much of the existing built environment. It was in this environment that PHLF was born, and as we evolved, urban renewal and planning agencies began to alter to some extent their “tear it down” policies. 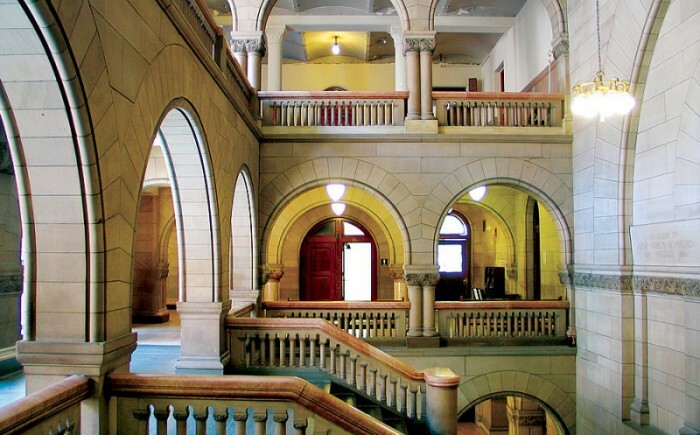 In 1967, PHLF worked with the City of Pittsburgh’s Department of Planning to prepare an historic preservation ordinance for the city, which was adopted in 1971. The Urban Redevelopment Authority commissioned PHLF to do a preservation study of Manchester as early as 1970, and surveys were subsequently performed for URA, the Allegheny Conference on Community Development, and various city and county agencies. In 1968 PHLF initiated the ubiquitous “Historic Landmark” plaque, which can now be seen on more than 575 buildings, structures, districts, and landscapes to highlight the intrinsic history and architectural significance of the built environment in our region. Through education and advocacy for historic restoration and preservation, our role is not to be obstructive to the changing circumstances of our city and region. We believe the city must grow and as such we see our involvement in public planning and development discussions as advisory rather than adversarial. We seek a seat at the table when important discussions consider the future of our built environment, and we aim to guide and influence the decision-makers in those discussions in both the business and the civic realm to consider historic preservation through practical adaptive reuse. Civic leaders, administrators of local municipalities, real estate developers, public agencies, and others consistently call upon us to consult and advocate for restoration and historic preservation principles through providing testimony at Historic Review Commissions at both the city and state levels. On the national level, we are engaged, together with our peers across the country, and our partners at the National Trust for Historic Preservation, in advocating for the need to save the Federal Historic Rehabilitation Tax Credit, an important preservation real estate financing tool.